Pure beeswax candles are healthy. 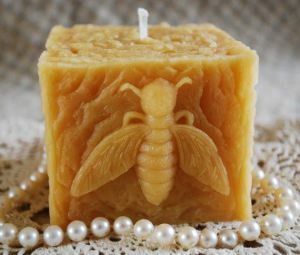 Beeswax candles produces negative ions that actually clean your air of odors, pollen, smoke, dust, dust mites, viruses, asthma, allergies, and hay fever! Bee-wax candles leave your indoor air fresher and cleaner. Many air purifiers and water filters harness this effective negative ion technology. They are the only candle for anyone with chemical sensitivities or allergies. When you increase the negative ions in the air. Your mood improves and it gives you a sense of wellness. This entry was posted in Uncategorized on January 28, 2016 by thehypothyroidismchick.